Home Licensing Protect creativity, go legal! The passion for creation, the reward of royalties or the joy of giving back to the society? Whatever the case, it can be disheartening to see one’s magnum opus be used by some other party blatantly without permission. As a society, if we have to keep the culture of creativity and fresh ideas alive, the best call is to go legal and reward the creator. When it comes to reprography in education, ignorance is definitely not bliss. Educational institutes are a major hotspot for photocopying and reproducing original works. Doing this without a reprographic license is a costly mistake. 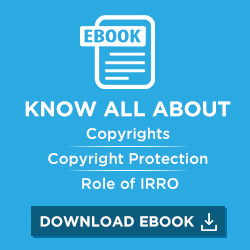 IRRO works for the benefit of content creators as well as users. Obtaining a reprographic license legally is a win-win situation for both parties. So, keep the spark of creativity ignited and use any intellectual property with permission. Apply for a license now! Issuing copies of it to the public. Renting or lending it to the public. Performing or showing it in public. Communicating it to the public. punishable with imprisonment. The term shall not be less than 6 months, but may extend to 3 years. fined. The fine shall not be less INR 50,000, but may extend to INR 2,00,000. Allows copying of content from Indian and global publications. Reduces the risk and potential cost of copyright infringement. Eliminates need to seek permission of copyright owners individually.